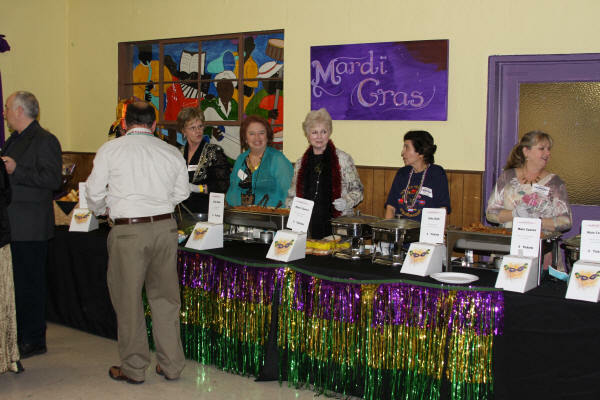 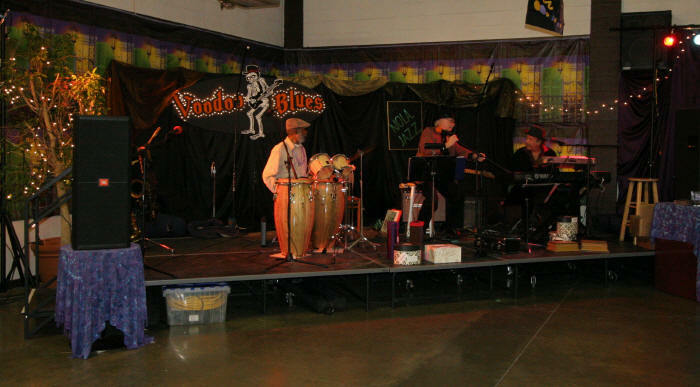 The 2nd Annual New Orleans Bash at the Bothwell was held on February 20, 2009. 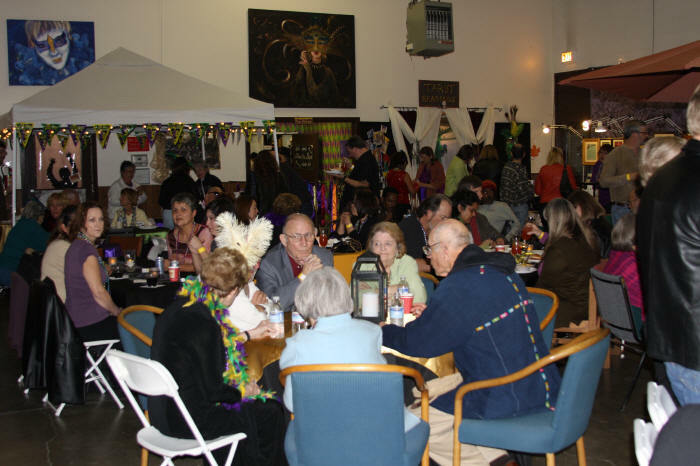 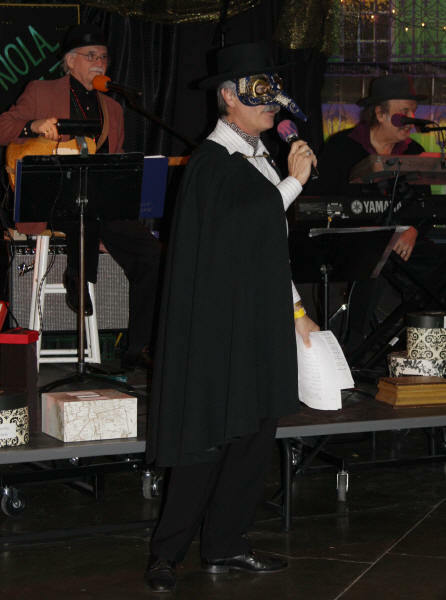 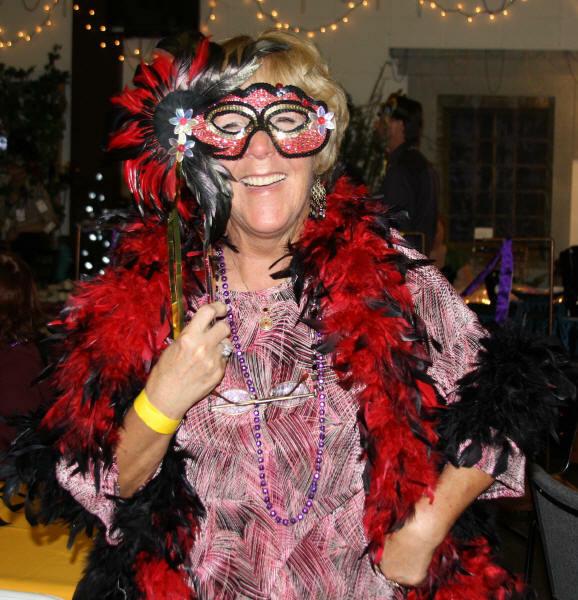 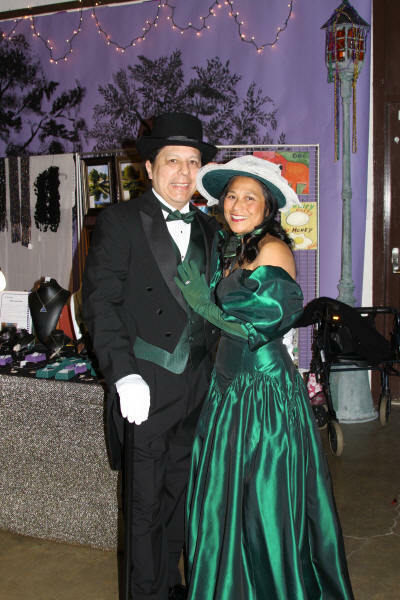 It was an evening of costumes, great music, New Orleans food and drinks, and lots of dancing. 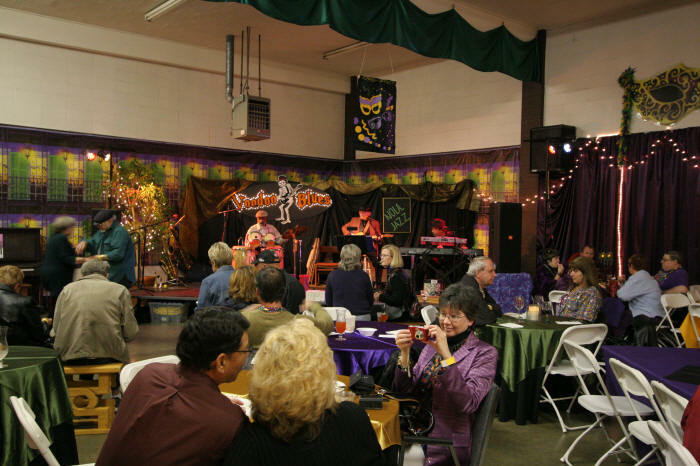 The event is a fundraiser for the Bothwell Arts Center. 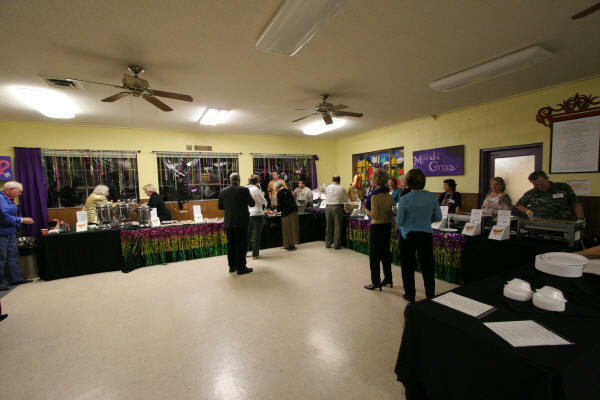 The evening included a variety of local arts vendors and a silent auction. 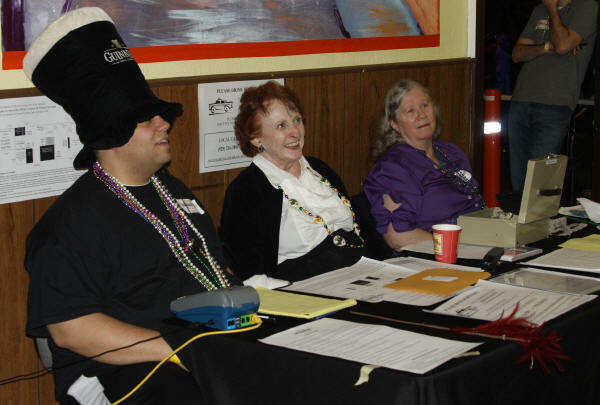 As was the case last year, the event was very well attended, and everyone looked to be having a good time. 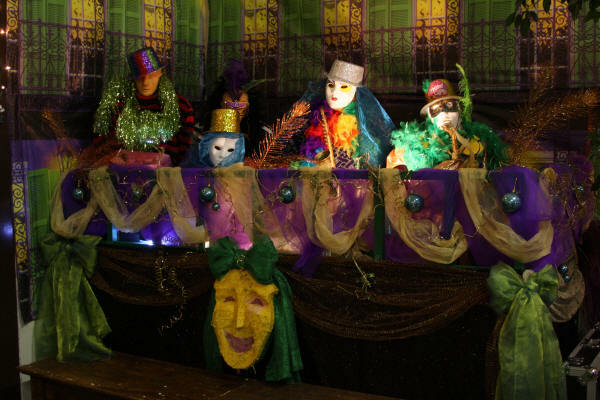 The Mardi Gras “Float” returned again this year. 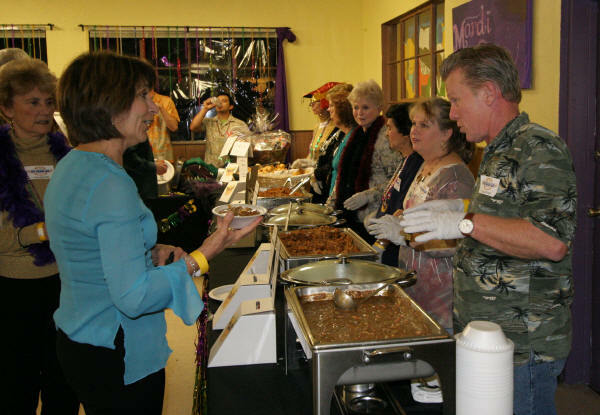 Wide angle view of the food area.